The beleaguered board of state-owned entity Universal Service and Access Agency of SA (USAASA) is taking the minister of telecommunications and postal services, Siyabonga Cwele, and public protector, Busisiwe Mkhwebane, to court over their dismissal. Yesterday Cwele wasted no time in dismissing the USAASA board of directors chaired by Mawethu Cawe after a damning report by the public protector over the way the board handled the suspension of CEO, Lumko Mtimde. He then appointed interim board members: Advocate William Huma, who will serve as the interim chairperson. Ntombizodwa Kutta-Ndlovu, Mapuleng Moropa, Joel Sihle Ngubane and Siyabonga Dube. 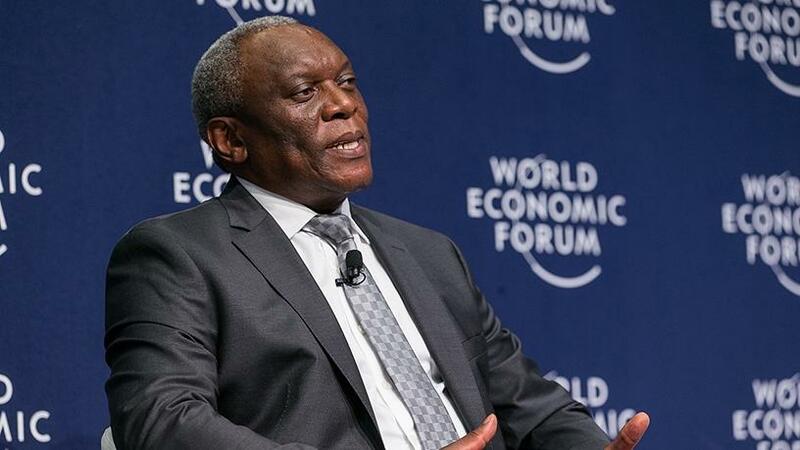 "The previous board was dissolved following lengthy engagements after which the minister found the board to be unfit in terms of the Electronic Communications Act and the Public Finance Management Act," said Cwele. Mkhwebane issued a damning report against the board of directors at USAASA following a complaint related to governance, abuse of power and malpractice. The report says the board violated the law by prohibiting the public protector to conduct investigations based on complaints lodged by Mtimde. Among other recommendations, the public protector said Mtimde was to be reinstated as CEO in seven days.The board was also ordered to extend an apology to Mtimde within 15 days for the "irrational and inappropriate manner" in which he was handled. USAASA quietly suspended Mtimde pending a disciplinary hearing earlier this year. The suspension relates to allegations of various acts of misconduct, the state-owned entity said. Following his suspension, Mtimde, who has strong ties with the ANC, took USAASA to the labour court. He also asked public protector Mkhwebane to investigate alleged abuse of power by the board. The disagreement emanated from the appointment of a company secretary by the USAASA board. Mtimde claimed the appointment was irregular and in contravention of various legislation. USAASA is a state-owned entity responsible for supporting the roll out of ICT services and ensures connectivity in underserviced areas as well as poor communities. Now the fired board members have approached instructed their lawyers to urgently launch an application in the High Court to set aside the minister's decision to remove the board, and to stay the implementation of the public protector's report pending the finalisation of the review application to set aside the public protector's report. "We have asked our lawyers to ask for a punitive costs order personally against the public protector in what appears to be a classic case of abuse of power and ulterior purpose." In a statement issued late last night, Cawe says members of the board of USAASA who have been "unlawfully and unconstitutionally removed by the minister on 30 August 2018 have been compelled to issue this media statement in order to refute the false and frivolous media statements issued by the suspended CEO of USAASA, Mr Lumko Mtimde, who was found guilty by the disciplinary committee of serious misconduct of financial irregularities, dishonesty and insubordination". The board members say to date, the minister has neglected to approve the board's recommendations to concur in the dismissal of Mtimde for reasons best known to the minister. "The minister has, during the conduct of the disciplinary enquiry and the suspension of Mtimde, pressured the board in meetings and correspondence not to suspend the CEO and not to discipline him. Despite the serious allegations levelled against the CEO, the minister decided to turn a blind eye. Not once has the minister sought to know the extent of the allegations and their investigation. All he was interested in was for the CEO to return to work and continue as if nothing has happened." They add that the CEO attempted to overturn his suspension and disciplinary process in the Labour Court alleging protected disclosure and he lost with costs, adding that the disciplinary process started and on the second day of the leading of evidence the public protector entered the fray and wanted the disciplinary hearing to be postponed. "When we told the public protector that she has no powers to stop the disciplinary enquiry that has already been sanctioned by the court, she unceremoniously slapped the board with an interim report finding the board guilty. "When the board approached the court to challenge her process of investigation as unlawful and flawed, she slapped the board with a final report with findings which are factually and legally incorrect, and remedial action which are far-reaching and ultra vires." To this board, they note, the conduct of the public protector in the manner in which she dealt with this board was reminiscent of the conduct the court found of unbecoming of the public protector in the matter of ABSA and another related cases vs public protector, Case number: 48123/2017; 52883/2017 and 46255/2017 where the court slapped the public protector with a costs order personally. According to the dismissed board members, the public protector and the minister have decided to use the appointment of the company secretary at USAASA as a scape goat. Despite that the position of the board on the appointment of the company secretary was supported by the Auditor-General's office, the National Treasury, and legal opinion from senior counsel, they allege. "The minister and public protector have, without any contrary legal opinion, decided to misrepresent the findings of the AGSA and National Treasury to find that the board has acted irregularly. "This board has stood firm in its resolve to fight corruption, maladministration, and financial mismanagement at USAASA. This board took firm steps against the CEO when evidence was brought to its attention that the CEO was guilty of financial mismanagement. This board ensured that a fair process is undertaken to institute disciplinary process against the CEO." Upon receipt of the public protector's report on 29 August 2018, the board says it resolved, on 30 August 2018, to set aside the public protector's report on judicial review and to approach court on urgent basis to stay the implementation of the remedial action pending review. A letter was addressed to the public protector and the minister, communicating the decision of the board. "Upon receipt of the said letters, the minister dismissed the board on 30 August 2018 with the hope to incapacitate the members of the board from litigating and overturning the public protector's report so that the disgraced and embattled CEO, whom the board has dismissed should be returned to USAASA unpunished by the newly installed interim board. "This board is the victim of its stance to adopt a zero tolerance to corruption and maladministration, when it was simply responding to the call by the president for state institutions to root out corruption. "There is something amiss in this whole saga which requires in-depth investigation. It must be found out why the minister wants a disgraced CEO, who has been found guilty of serious charges to be returned to his post at USAASA unpunished. It must be investigated as to why the public protector reinstated a CEO found guilty of serious financial mismanagement without any recourse proposed, effectively leaving allegations against the CEO to be swept under the carpet and the findings of the disciplinary chairperson to be ignored." The add that it must be investigated as to why Mtimde seems to willed this power which enables him to do as he wishes with no consequences. "We await to see whether the minister will take any steps against Mr Mtimde for distributing USAASA information and false allegations in the media about the board and the public protector's report."